Finally, the wait is over. 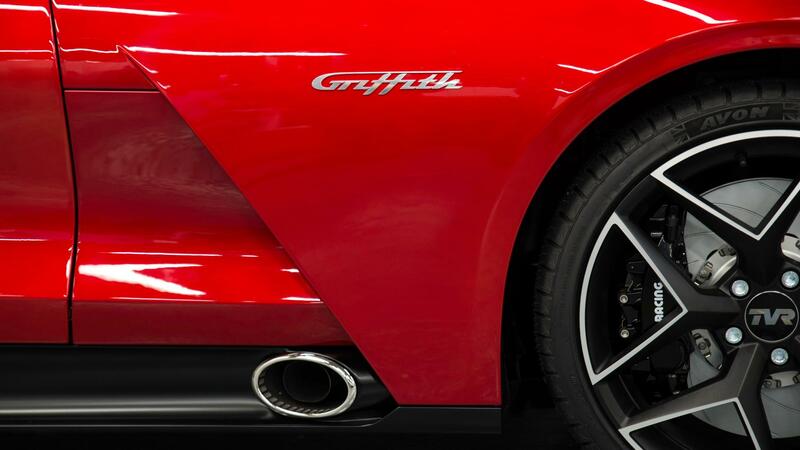 After months of tantalising teasers shots, the anti-establishment car company has made its return with an all new TVR Griffith. The new Griffith may share a name badge with the older versions, but don’t be fooled. Everything else is totally new and in some cases not just for TVR. The shell is carbon fibre and the space frame uses a new iStream process which simplifies manufacturing while also introducing yet more carbon fibre. Very up to date for TVR. As you’d expect, this heavy use of carbon fibre means the new Griffith weighs a poultry 1250kg. Along with the added rigidity a carbon fibre based structure brings, the new Griffith also boasts a 50/50 weight distribution. On paper at least then, the Griffith should be leaps and bounds over the sloppy cars of old in the bends. The exterior styling is perhaps not quite as exciting as the teaser shots led us to believe, but the reveal photos are exquisitely good at hiding the lines and proportions it has to be said. Side exit exhausts are present as promised though which does recoup some style points. And as you can hear in the video below, it does sound epic. Thankfully, some very important parts of the new Griffith are decidedly old school. I’m talking of course, about the six-speed manual box that is mated to a naturally aspirated 5.0 litre V8. It’s the same Coyote unit you’ll find under the Mustang (the proper one of course, not the EcoBoost thing). However, not content with Ford’s output figures, TVR sent the unit to Cosworth who rung out even more power. 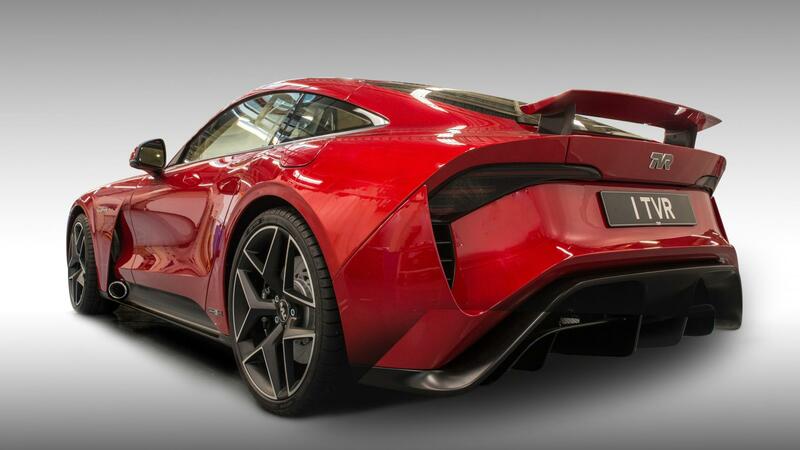 TVR still hasn’t divulged full spec information but has confirmed the V8 pumps out 500bhp and considerably more torque. This means the new Griffith will do 0-62mph in under 4 seconds, 0-100mph in just over 6 and onto a top speed of 200mph. Inside is a similarly modern approach. A digital display provides the essentials and by the looks of it will feature a keyless system. 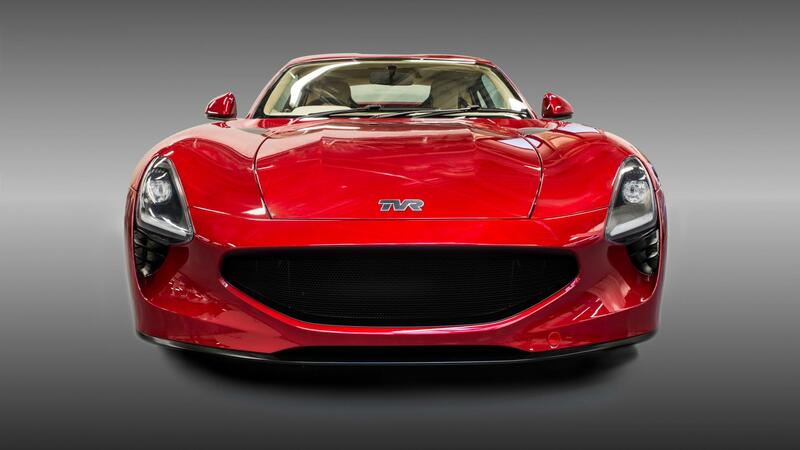 Nothing too groundbreaking but for TVR it’s a huge step forward. While the overall interior design looks basic, the aluminium buttons look dare I say, premium. You don’t have to be Sherlock Holmes to find more evidence of TVR’s raid on Ford’s parts bin though. The air vents and indicator stalks, for example, are clearly from a Fiesta. Would you want more from a £90k car? Maybe. But it’s a new TVR for god’s sake! 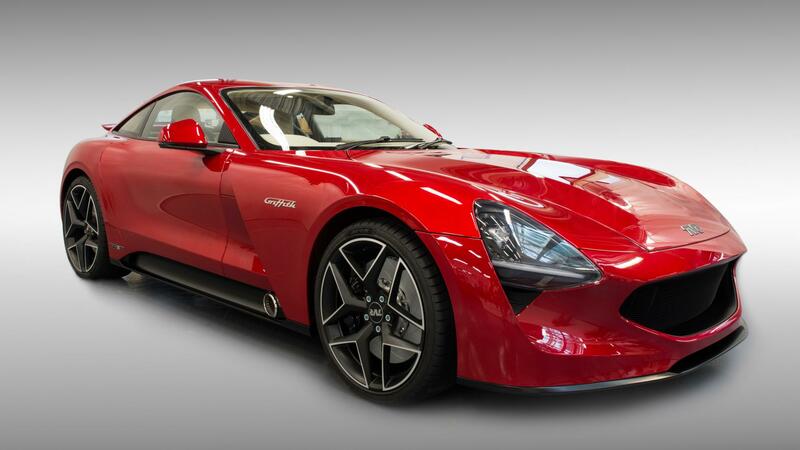 Unlike TVR’s of old, the new Griffith will benefit from electrical aids like ABS and ESP. A relatively short list of acronyms by today’s standards, but that’s what makes TVR so enjoyable. There is, of course, an easy to reach off switch if you’re feeling a bit ballsy. The rubber is a modest size too so no doubt if you decide to disengage the electrical aids, tyre wrecking antics will be no trouble at all. 275mm tyres on the rear 20inch rims and 235mm on the 19-inch fronts. What do you think? Does it look as good as you expected?